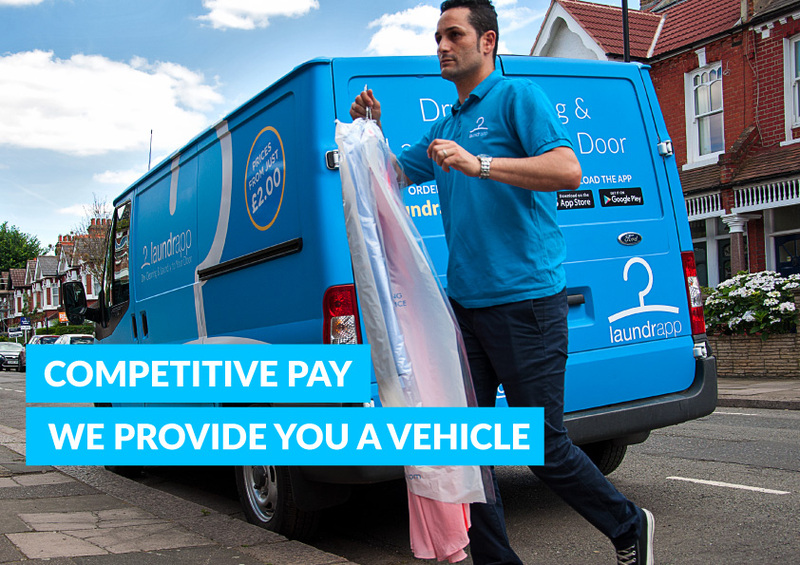 Laundrapp is seeking enthusiastic, dedicated drivers and delivery agents to help deliver fresh laundry & dry cleaning to our customers across London. A fun, dynamic and rewarding role with the benefits of working for one of the fastest-growing startups in the UK. This is your opportunity to play a vital part in revolutionising an entire industry. As one of Europe’s fastest-growing tech startups, we’re looking for the best talent to join our team of superstars. If you’re enthusiastic and self-motivated, we want to hear from you! Since Laundrapp’s successful launch in 2015, we’ve grown to over 100 towns and cities across the UK, with our eyes now firmly on the rest of the world. So, become a Laundrapp driver here and drive us forward in this laundry and dry cleaning revolution.